Just yesterday I put my on one of the three shirts my three-year-old will wear. He likes his Batman shirt, his Thomas shirt and his “Go Cats” shirt. 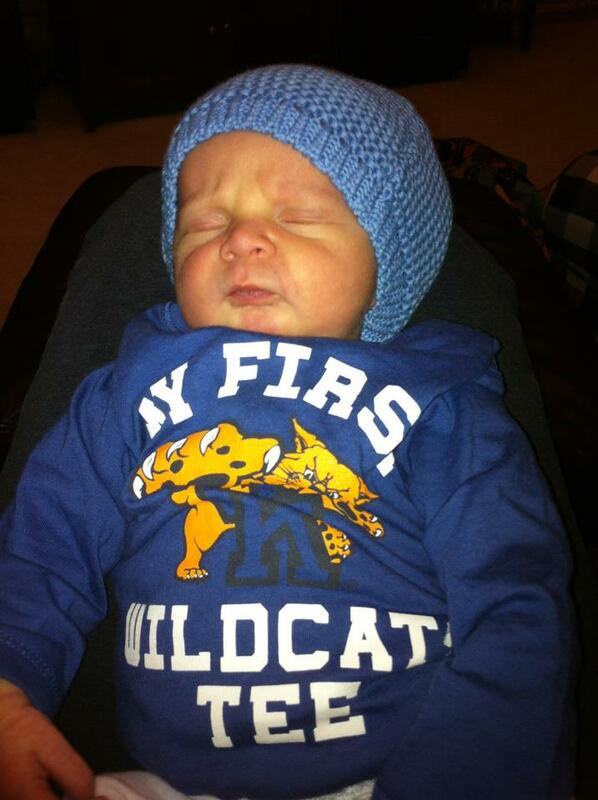 This was my son’s first Go Cats tee, probably where the love for long-sleeved blue shirts began, straight out of the womb. The “Go Cats” are a big deal around here. My husband is a born and raised Kentuckian so naturally, like most Kentuckians (I know Louisville doesn’t count) he loves University of Kentucky sports, especially The University of Kentucky Wildcats Basketball. This is odd for me because I am not from Kentucky and do not completely understand this bleeding love for Kentucky Hoops but I love my husband and I am supportive. 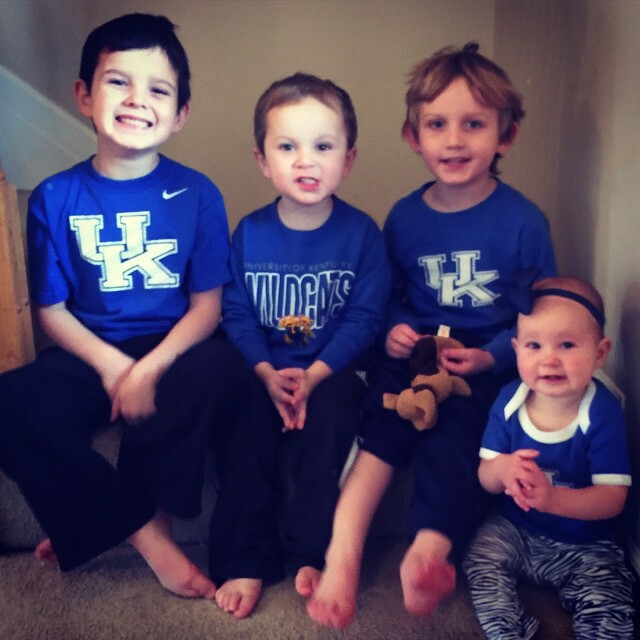 I watch, I cheer, I dress my kids up for Kentucky hoops on Saturdays and make sure all the shirts are clean for two weeks during march madness. It is here that this post will take a turn. I know you have these moments too. When your early-elementary-aged children speak up and impress the poop out of you. Clearly, I know my husband loves Jesus more than Kentucky Basketball but when you child speaks up like that it catches you off guard. I could only think about how thankful I am to have a husband who shines His love for Jesus brighter than his love for sports. My sons are watching their daddy. One day, they will grow up to be men, hopefully like just like him.